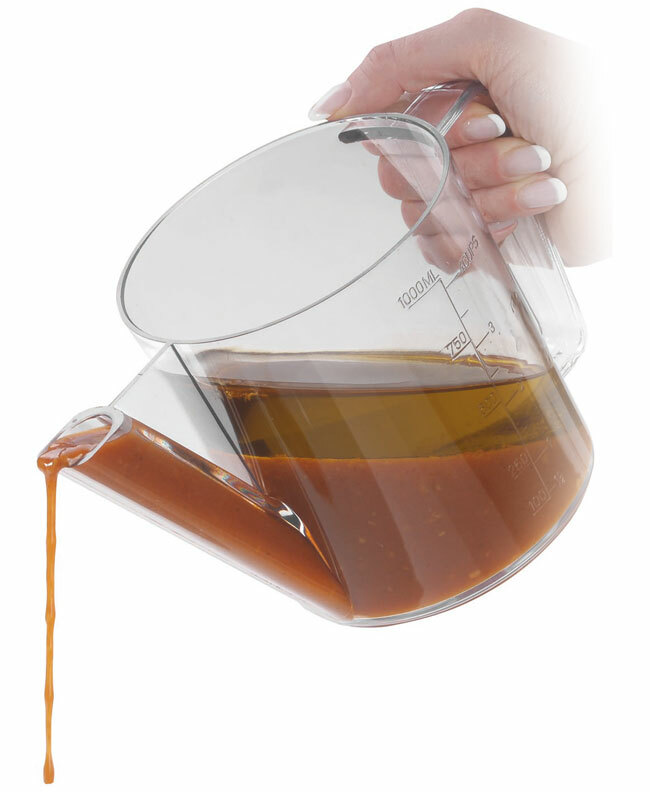 Jug to separate fat from juices by decanting. The pouring spout from the base of the jug enables the juices to be collected. SAN graduated. Dishwasher safe.